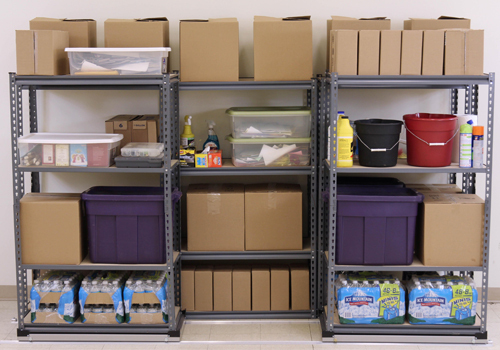 Heavy-duty steel shelving is ideal for those who require shelving units that offer durability, strength and resistance. Radius office Furniture office an array of galvanised metal storage shelves perfect for industrial, commercial or domestic usage. They’re also perfect for businesses looking to create a chic, industrial look in their workspace. Our high quality, steel shelving units are suitable for a number of different purposes whether it be in a warehouse, commercial kitchen or a garage setting. The cheap and affordable metal shelving in our catalogue are highly versatile with adjustable shelves on offer. The shelves can have up to 6 levels making it a highly efficient and economical storage system to accommodate for multiple requirements. 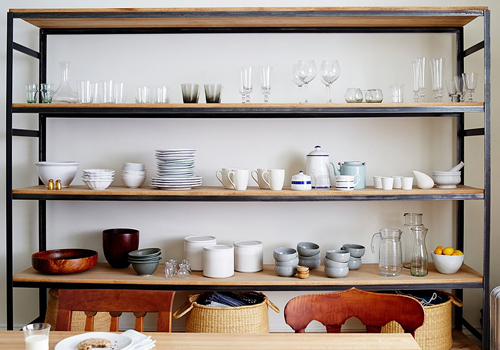 Furthermore, we also offer metal shelving add-on extension if you require an extra space for your shelving storage. The heavy-duty galvanised steel storage units in our collection can withstand tremendous amounts of heavy weight capacity making it highly durable and are capable of heavy usage. The metal rack shelves are perfect for storing heavy duty equipment such as power tools in any garage or industrial warehouses. They are also a handy addition to offices who wish to store heavy books, magazines and files on shelves for easy open access. Catering shelving is perfect for commercial kitchens that require a place for storing their fresh ingredients like fruits, vegetables and heavy kitchen equipment’s. We also have a range of boltless steel shelving units in our catalogue. The boltless structure allows for easy assembly and deconstruction. We source our metal rack units from some of Europe’s most best-known office furniture manufacturers including Bisley, Ashford, Oplan, Steelcase, Buronomic, Trexus and Vinco. Sourcing our storage solutions from these trusted manufacturers helps us guarantee that you are getting highly durable steel shelving’s that offer longlisting performance within your price budget. If you are looking for a storage unit that is highly durable, long lasting and can take a considerable amount of heavy weight then we have the perfect solution to your problem. Our E-commerce store offers heavy-duty steel shelving that is custom-designed for rigorous usage and is built to withstand even the heaviest weights. 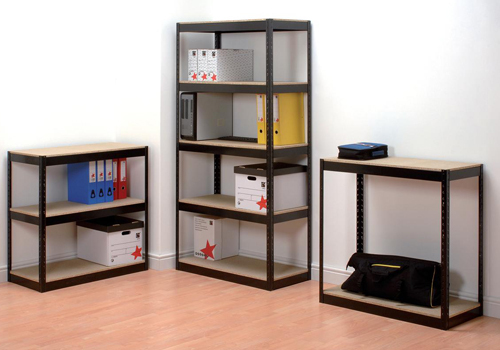 If you are in an office, our steel shelving storage solutions not only help you to organise your space, keeping things neat and tidy, but they also add a sense of industrial style to your workplace. They’re also perfect for office workshops and stockrooms where you can store equipment’s lying around the office. Our range of powder-coated steel shelving systems manages to blend practicality and performance with style, making them an integral feature in any office. The adjustable mechanism offered in our stainless-steel metal rack are the perfect solution for those who wish to store items in the shelves that are varied in heights offering maximum flexibility. The steel storage shelves boast an open style making it perfect for those who wish to access their items quickly and easily. We have a range of size options to suit your needs, including 5 shelves, 4 shelves, 3 shelves, 2 shelves and 1 shelf options with different widths and depths. The smaller options are great for use at home, for example, you can incorporate a 2-3 shelf in your shed to help keep things neatly organised or even use them as a plant stand for home greenhouses. If you wish to not position your metal shelves against the wall, we have options with cross metal bracings to help keep the structure sturdy and to not let your items fall towards the back. When it comes to prices, we understand that it’s a big deciding factor when it comes to purchasing any piece of furniture that is why we offer an extensive amount of cheap metal storage shelves to cater for everyone’s different price budgets. For a highly affordable option, we have a range of used steel shelving units. Alongside this, we also offer new storage options ranging from the more affordable to the more high-end. If you’d like to find out more about our range of Steel Shelving or discuss your requirements, simply request a callback.